Yes, impressions matter. If you’re not familiar with this marketing term, it’s used to describe how many people have viewed your ad, mailer, commercial, or Facebook post. Impressions have been used for years to help quantify the advertising world, and they were okay indicators back in the day. However, impressions only matter if you’re content is being viewed by your ideal customer. A new customer was telling me about a mailer that he recently sent. It went out to 5,000 local homes within just a few miles of his business. He never received a single call from it ( I never saw the mailer, so I can’t tell you whether the design was the issue or not.) My instinct tells me that in this fast paced neighborhood, the design wasn’t the issue. A few months ago, I wrote about how engagement is more important than impressions. That’s still very true, but I skipped over one very important detail. 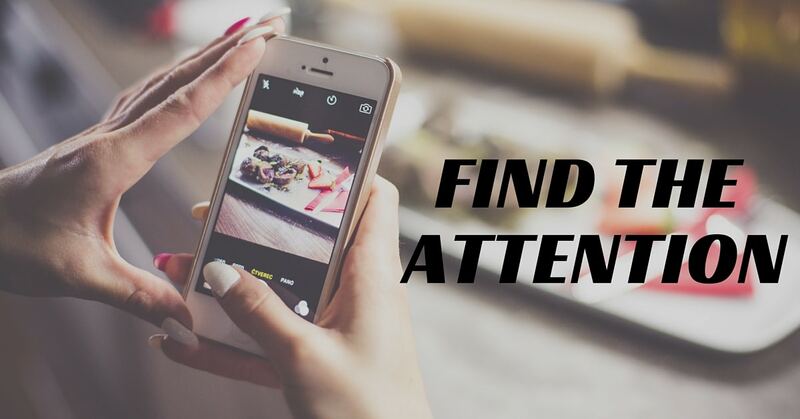 Before you can drive engagement (clicks, Likes, comments, consumption of your content) you need to grab attention. There might be millions of people watching Dancing with the Stars tonight, but their eyes are glued to their phones during the commercial breaks. Does that mean that there are any less impressions for the advertisers paying for commercials? No, but you could argue that they’re paying way more than they should for impressions that aren’t reaching customers. Time is a precious thing, and it’s becoming even more important as our ability to connect throughout the world expands. New things are vying for our attention, and so the places that the consumer places them are extremely important. As a marketer, I have very little interest in running a television ad or paying for a billboard. Why? Because I’m more concerned with the eyeballs glued to Instagram, Facebook, and Snapchat. That’s where my customers are placing their attention, and I know that TrustWorkz needs to be part of that world. How TrustWorkz becomes part of that world depends on one thing: adding value. Your small business is the same way. What’s more important; 1000 people reading a short post or 10 ideal customers reading through a 5,000 word post? Is a 30 second video more valuable than an hour long video? It all depends on who you ask and the value you’re adding, right? If time is a commodity, then it’s the job of small businesses to create value and attract customers where they’re placing their attention (where they can find you) so that you’re maximizing every second they spend engaging with you. If you can accomplish this marketing goal, then you can convert new customers at a higher rate and at a lower cost per acquisition. It all falls back on delivering value where it’s relevant to the user, and personalizing the experience so that you can build trust, authority, and influence (which takes a lot of effort). Find where your customer is placing their attention, be part of that world, and deliver value.